SOUTH AFRICA: Design Applications | Smit & Van Wyk, Inc. Drawings, photographs or other graphic representations of the article embodying the design is required upon filing. Description of the design and how it is intended to be used. The application must include the article to which the design is to be applied, whether the design is functional or aesthetic, formal representations with indication of views, a statement of the features for which protection is sought and the international classification according to the Locarno Agreement. A functional design has a duration of 10 years while an aesthetic design has a duration of 15 years, with no possible extensions. Annual renewal fees are payable from the third anniversary of the filing date. There is a 6-month grace period to pay the renewal fees. 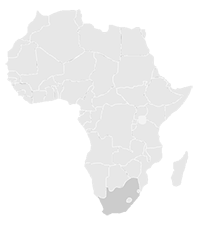 Smit & van Wyk, Inc. design agents in Africa: Our services include design applications, maintenance and protection in South Africa. The patent attorneys at our firm are dedicated individuals, skilled in their fields of practice, and can provide clear advice on complex legal matters to clients from all over the world.